Stefenturner.com via Barbara Cleary’s Realty Guild, from the book "Empty Mansions"
As her mother had bought a California ranch as a refuge during World War II, Huguette Clark during the Cold War bought this Connecticut retreat, Le Beau Château, in New Canaan. It sat empty for more than 60 years. When she offered it for sale, so she could bestow more gifts on her friends and staff, it led to the disclosure of her reclusive lifestyle. 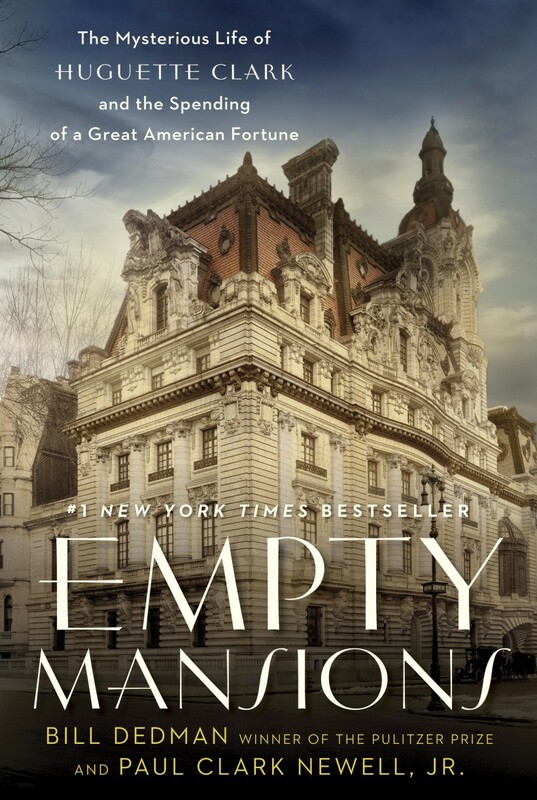 Stefenturner.com via Barbara Cleary's Realty Guild, from the book "Empty Mansions"
Le Beau Château, Huguette Clark's country retreat on 52 acres in New Canaan, Connecticut, unlived in since 1951. Two caretaker cottages are at lower left, and the main house is at upper right, out of view from the road. The back of Le Beau Château, Huguette Clark's country retreat on 52 acres in New Canaan, Connecticut, unlived in since 1951. The front of Le Beau Château, Huguette Clark's country retreat on 52 acres in New Canaan, Connecticut, unlived in since 1951. A waterfall on Le Beau Château, Huguette Clark's country retreat on 52 acres in New Canaan, Connecticut, unlived in since 1951. The driveway into Le Beau Château, Huguette Clark's country retreat on 52 acres in New Canaan, Connecticut, unlived in since 1951. The front door of Le Beau Château, Huguette Clark's country retreat on 52 acres in New Canaan, Connecticut, unlived in since 1951. A two-story addition put on by Huguette Clark at Le Beau Château, Huguette Clark's country retreat on 52 acres in New Canaan, Connecticut, unlived in since 1951. Shutters at Le Beau Château, Huguette Clark's country retreat on 52 acres in New Canaan, Connecticut, unlived in since 1951. On the back of Le Beau Château, Huguette Clark's country retreat on 52 acres in New Canaan, Connecticut, unlived in since 1951. Outside the kitchen of Le Beau Château, Huguette Clark's country retreat on 52 acres in New Canaan, Connecticut, unlived in since 1951. The driveway approaches the front of Le Beau Château, Huguette Clark's country retreat on 52 acres in New Canaan, Connecticut, unlived in since 1951. There's no bell, no buzzer, only a sign of warning outside the faded serpentine wall by the caretaker cottages of Le Beau Château, Huguette Clark's country retreat on 52 acres in New Canaan, Connecticut, unlived in since 1951. The rusted front gate of Le Beau Château, Huguette Clark's country retreat on 52 acres in New Canaan, Connecticut, unlived in since 1951.